To dress up in an elegant and adorable manner has always remained a prime concern of human beings. They do not only spend a lot of time in selecting their cloths, but also spend a huge sum of money over clothing to look different from other people. The instinct of being different from others often leads them not to hesitate from paying high prices over selection of clothes. Ever since the industrial revolution, the clothing industry has witnessed huge progress and development. The clothing brands not only strive to meet the demands and likes of their customers, but also compete with each other in introducing new trends and designs in the world of fashion. Today, these brands have assumed the position of trend setters and are regarded as status symbol among rich classes around the globe. Though these clothing brands mostly represent the western culture, yet they take into account native traditions as well while launching their products in order to get maximum attention of people around the globe. However, the products of these clothing brands are highly expensive and only a selected class possessing a good number of wealth is able to buy them. Following is the list of top 10 most expensive clothing brands of 2013 which are highly popular among the innumerable fashion lovers around the globe. Top 10 Most Expensive Clothing Brands of 2013. These creative and fashionable designs have a knack of making women fall in love with them. They have now become hot property to fashion lovers across the world. It’s fabulous wardrobe make it one of the top 10 most expensive clothing brands of the world. It is specialized and is mostly popular for its evening wear range. It’s bold design attract the women from rich class who are crazy about the luxurious modern fashion trends. 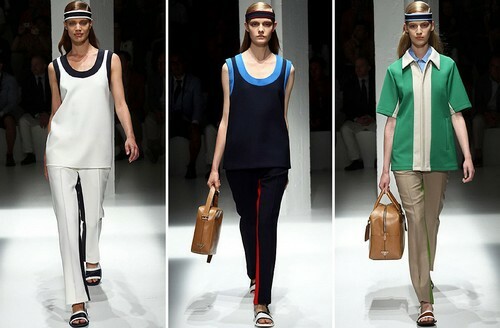 The Italian fashion, Versace produces the modernized designs equally for men and women both. It is highly popular among trend lovers who are ready to pay any price for latest fashion and better quality. This brand has introduced a variety of fashion wear, leaving no space for the competing rivals. Most fashion designers and artist have recommended Versace a seasonal clothing brand. It is one of the best fashion brand for clothing and other accessories for men and women. Today, as well as being known for being near the top in luxury clothing, it has expanded to now include ranges in accessories, makeup and has now even produced designer furniture. Guess is an American brand and most popular for its denim jeans. It is one of those brands that always surprise the customers. This clothing brand mostly produces its items especially targeting the adult men and women. Its jeans, T-shirts are highly popular among the youngsters fashion lovers. Dior is known for its highly sophisticated, glamour, elegance, modernized and prestige clothing designs. Its quality products with latest fashion trends are regarded as status symbol. These highly expensive products attracts women from fashion industry as well. The prestigious reputation of Dior has been enhanced after including new products like perfumes, bags, sun glasses, women wear and other fashion wearing. There are various other items which are being marketed and exported by Dior to other countries but the most appreciable fabric wearing is the female purse and handbags. Seasonal variations, luxurious designs and exclusive sales are some features of this brand. Long known for its fashionable clothing it is now concentrating mainly on Jewelry, handbags and shoes, but it also provides ranges of outer wear for the various seasons. The main advantage is the overall success of the brand is in clothing designs. Armani is not only the most expensive clothing brand, but it is also most popular brand across the globe. There are very few brand which are coming with a range and this brand has a huge range. Starting from perfumes and ending on the clothing. It is the old name in the cloth manufacturing particularly jeans and T shirts. The cloths designs are further recommended by the authorized fashion designers and boutique shops. It is the only brand that has been extensively sold out throughout the world and earned huge name. where there is great seasonal variation, the Armani cloths are best to adopt in those seasons. Armani has now concentrated a range aimed at kids, both male and female. Commonly known as D&G,Dolce and Gabbana need no words to describe the popularity and grace of their brands. It is the most famous and desirable dressing brand in the Italian culture. Its products liked equally by both men and women and are sold in great number all over the world. The print and texture quality of the dress has no match through the world. 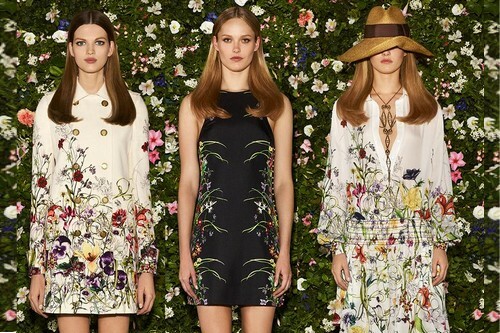 D&G is the most expensive clothing brand of the world in 2013. If you are willing to make a change in your life then it is the best choice. The trendy clothes of this Italian brand attract a large number of young fashion lover. It is known for having outlets around the world and so are often more accessible than some of the other top brands. Its products are the most expensive clothing products in the world. Renowned for its designs being simple, distinguished and comfortable. It also maintains a good name in the perfumes market. Chanel is considered to be one of those brands that are gaining a huge demand. This is a brand that is often favoured by the famous and the rich. The stylish and rich designs enable you to choose between great verities. The uniqueness of the clothing brands lies in the fact that this brand does not copy other styles and thus maintains its own existence. Quality shades, skin care items and beauty products are also named after Chanel. This brand is probably more sought after by the trendier, younger fashion lovers, because it is the most popular fashion brand of the world. The expensiveness and overall quality made this famous Italian brand to stand on No. 1. This brand is probably the most expensive in the world and they design items for men and women. Their articles include ties, handbags, skirts, shoes and luggage. Although expensive, these brand name items are always luxurious and stylish. It has many rivals but yet it has not been dismissed from top ten lists. Great share! Even I have some awesome collection of online clothing india online at Majorbrands.